These terms and conditions (together with any other documentation/webpages) sets out the legal terms and conditions under which we Rutland Early Years Agency Ltd provide support services to childcare providers/parents/local authorities and any person or organisation purchasing support documentation/services from Rutland Early Years Agency Ltd. By applying to participate in the services you indicate that you accept these conditions and that you agree to abide by them. Please understand that if you refuse to accept these conditions that you will be unable to participate in any services provided by Rutland Early Years Agency Ltd.
RUTLAND EARLY YEARS AGENCY LIMITED incorporated and registered in England and Wales with company number 09627426 whose registered office is at 61a South Street. Oakham, Rutland LE15 6BG (Agency). The individual whose details appear at Part 1 of Schedule 1 (Individual). The Agency, as a result of extensive research and practical business experience, has developed the business of providing support, training and advice services for parents and childminders. The Agency has built up a substantial reputation and goodwill in its business and Brand, which is associated with the highest standards of service. The Agency is the exclusive owner of all Intellectual Property in the Brand. The Individual wishes to acquire from the Agency the right to provide Services using the Brand in accordance with the terms of this agreement. Accreditation: OFSTED and the Agency’s accreditation. Agreed Hours: the number of hours specified in Part 4 of Schedule 1. Brand: the brand developed and owned by the Agency. Client: a parent or carer to which the Individual provides Services. Confidential Information: any information which is disclosed to the Individual by the Agency pursuant to, or in connection with, this agreement (whether orally or in writing and whether or not such information is expressly stated to be confidential), or which otherwise comes into the hands of the Individual in relation to the Scheme, Brand, the Website or the Materials other than information which is already in the public domain (otherwise than as a result of a breach of any obligation of confidentiality). Fees: the fees payable by the Individual to the Agency as set out in Part 2 of Schedule 1. Intellectual Property: patents, rights to inventions, copyright and related rights, trade marks, trade names and domain names, rights in get-up, rights in goodwill or to sue for passing off, rights in designs, rights in computer software, database rights, rights in confidential information (including know-how and trade secrets) and any other intellectual property rights, in each case whether registered or unregistered and including all applications (or rights to apply) for, and renewals or extensions of, such rights and all similar or equivalent rights or forms of protection which may, now or in the future, subsist in any part of the world relating to the Brand, Materials, Scheme, Brand and the Website, owned and acquired by the Agency from time to time. Logos: the marks and logos of the Agency in relation to its Brand from time to time. Materials: the materials, information and documents provided by the Agency to the Individual. SOP: the statement of purpose made available to the Individual via the Website and which forms part of this agreement. Term: the term of this agreement as determined in accordance with clause 3. Website: the website at WEBSITE. 1.6 Words in the singular shall include the plural and vice versa. 1.7 A reference to one gender shall include a reference to the other genders. 1.8 A reference to any party shall include that party's personal representatives, successors or permitted assigns. 1.9 A reference to a statute or statutory provision is a reference to it as amended, extended or re-enacted from time to time provided that, as between the parties, no such amendment, extension or re-enactment shall apply for the purposes of this agreement to the extent that it would impose any new or extended obligation, liability or restriction on, or otherwise adversely affect the rights of, any party. 1.10 A reference to a statute or statutory provision shall include any subordinate legislation made from time to time under that statute or statutory provision. 1.11 A reference to writing or written includes faxes but not e-mail. 1.12 A reference to "this agreement" or to any other agreement or a document referred to in this agreement is a reference to this agreement or such other document or agreement as varied or novated (in each case, other than in breach of the provisions of this agreement) from time to time. 1.13 References to clauses and Schedules are to the clauses and Schedules of this agreement; references to paragraphs are to paragraphs of the relevant Schedule. 1.14 Any phrase introduced by the terms including, include, in particular or any similar expression shall be construed as illustrative and shall not limit the sense of the words preceding those terms. 1.15 Any obligation in this agreement not to do something includes an obligation not to agree or allow that thing to be done. in accordance with the terms of this agreement and SOP, during the Term as amended by the Agency from time to time. 3.1 The Term is specified in Part 3 of Schedule 1 unless it is terminated earlier under clause 13, this agreement shall terminate at the end of the Term. 3.2 If the Individual continues to carry on operating and providing Services using the Brand after the end of the Term, but without having agreed a renewal of this Agreement with the Agency, then it will be deemed to do so on the terms and conditions of this agreement save that the Agency will be entitled to terminate this agreement on giving to the Individual two weeks written notice of termination. 4.1 The Fees shall be paid within 14 days of receipt by the Individual of the Agency's invoice for payment. 4.2 Unless the Agency specifies otherwise, the Individual shall make all payments to the account nominated in writing by the Agency. 4.3 The Fees are exclusive of VAT, which shall, where applicable, be paid by the Individual at the prevailing rate on the due date for payment or receipt of the relevant invoice from the Agency (as may be). 4.4 Any fees for statutory checks including but not limited to DBS checks, GP Health Checks, Statutory Training Requirements, are payable in addition to any package costs, membership costs or support costs, and are payable by the applicant/childminder at the time the checks/training is required by legal specification. 4.5 The fees payable for finding a childminder space on behalf of the parent/carer are non refundable in all circumstances. The Agency shall provide general advice on providing Services to Clients within the Agreed Hours. 6.12 participate in regular meetings with the Agency and/or its representatives or other Individuals to share information and best practice. 7.1.6 take out and maintain sufficient insurances (at its own cost) to cover the provision of the Services to Clients. 7.1 Breach of this clause 7.1 by the Individual shall be deemed a material breach under clause 13.1.2. 8.1.5 within 6 months of the date of this agreement, and annually thereafter, certify to the Agency in writing signed by an officer of the Individual, compliance with this clause 7.1 by the Individual. The Individual shall provide such supporting evidence of compliance as the Agency may reasonably request. 8.2 Breach of this clause 7.1 by the Individual shall be deemed a material breach under clause 13.1.2. 8.3 For the purpose of this clause 7.1, the meaning of adequate procedures and foreign public official and whether a person is associated with another person shall be determined in accordance with section 7(2) of the Bribery Act 2010 (and any guidance issued under section 9 of that Act), sections 6(5) and 6(6) of that Act and section 8 of that Act respectively. For the purpose of this clause 7.1, a person associated with the Individual includes but is not limited to any agent, delegate or subcontractor of the Individual. 9.4 comply with the Agency in the event of an investigation of the Agency by any governmental or regulatory authority, allow representatives of the Agency to enter its premises and review the Individual's records and take copies of the Individual's accounts and other records on reasonable notice, during usual business hours and supply to the Agency copies of all VAT returns and any other financial or other information which the Agency may reasonably request for the purposes of such investigation. 9.5 Rutland Early Years Agency Ltd offer support and advise, includes but is not limited to training, fact sheets, inspection advise, social media and website information to the best of our ability but accept no responsibility for any outcomes by a third party, the individual is responsible for accepting and putting into practice any guidance and support offered. 10.1.6 loss of profits and interruption of the Individual. 10.2 The Individual shall not breach, or allow any breach of, such policies. 10.3 The Individual shall pay all premiums on time for such policies and immediately provide the Agency with copies of the certificates of insurance for such policies. 10.4 If the Individual fails to take out and maintain such policies, the Agency may do so and the Individual shall reimburse the Agency for all costs and expenses incurred in doing so. 11.1.2 any goodwill (and any other rights) in the Brand which result from the use by the Individual shall vest in the Agency. 11.2 If the Individual learns of any threatened or actual infringement of the Intellectual Property, or of any circumstance which suggests that the use of the Intellectual Property may infringe the intellectual property of a third party, it shall immediately inform the Agency, giving all such details as the Agency requests. 11.3 The Agency shall have conduct of any proceedings relating to the Intellectual Property and may take whatever action it, in its sole discretion, decides in respect of any infringement or alleged infringement of it, or arising from its use. Any rights that the Individual has under section 30 of the Trade Marks Act 1994 are excluded. The Individual shall co-operate with the Agency in taking such action and the Agency shall meet any reasonable expenses of the Individual in doing so. 11.4.4 not do anything that may adversely affect the Intellectual Property or the Agency's right or title to it. 11.5 The Individual acknowledges and agrees that all Intellectual Property in the Materials is and shall remain the exclusive property of the Agency. The Individual shall hold the Materials in safe custody at its own risk and maintain and keep in good condition by the Individual until returned to the Agency in accordance with clause 14.3. 12.1 The Individual undertakes that it shall not at any time copy, use or disclose to any person any Confidential Information, except as permitted by this agreement. 12.3 No party shall use the Confidential Information for any purpose other than to perform its obligations under this agreement. 13.1.14the Individual suspends or ceases, or threatens to suspend or cease, to carry on all or a substantial part of its business. 13.2 The parties acknowledge and agree that any breach of clauses 6, 7, 11 and 12 shall constitute a material breach for the purposes of this clause. 14.1 On termination or expiry of this agreement for any reason clauses 11, 12, 14, 16, 17, 19, 22, 26 to 29 (inclusive), shall continue in force indefinitely. 14.2 Any termination or expiry of this agreement shall not affect any rights or liabilities that have accrued prior to such termination. 14.3.6 return or at the option of the Agency, destroy, all Stationery, Materials or other documents bearing the Brand. 14.4 On termination or expiry of this agreement for any reason, the Individual must return (at its expense and in good working order and condition) all items of equipment held on loan or hire from the Agency under the terms of this agreement. Until they have been returned or repossessed, the Individual shall be solely responsible for the safe keeping, supervision, custody and insurance of them. 14.5 If the Individual fails to fulfil its obligations under this clause 14 within a reasonable time, the Agency may, at the expense of the Individual, immediately and without notice, enter onto the Individual's premises and take such steps as it thinks fit to fulfil any outstanding obligations. Intellectual Property and Brand shall cease. 15.1 This agreement, and any documents referred to in it or annexed to it constitutes the whole agreement between the parties and supersedes any previous arrangement, understanding or agreement between them relating to the subject matter of this agreement. 15.2 If there is an inconsistency between the terms of this agreement or any other documents referred to in it or annexed to it, the terms of this agreement shall prevail. 15.3 Each party warrants to the other parties that, in entering into this agreement and the documents referred to in it or annexed to it, it does not rely on any statement, representation, assurance or warranty (Representation) of any person (whether a party to this agreement or not) other than as expressly set out in this agreement or those documents. 15.4 Each party agrees and undertakes to the other parties that the only rights and remedies available to it arising out of, or in connection with, a Representation shall be solely for breach of contract, in accordance with the provisions of this agreement. 15.5 Nothing in this clause shall limit or exclude any liability for fraud. The Individual shall (and shall use all reasonable endeavours to procure that any necessary third party shall) (at their own expense) promptly execute and deliver all such documents, and perform such acts, as the Agency may, from time to time, reasonably require for the purpose of giving full effect to this agreement. (iv) inform any individual whose personal data may be processed under this agreement (including prospective customers as well as those with whom the Individual enters into contracts) of such processing. This includes informing such individuals that, on the termination of this agreement, personal data relating to them (including personal data contained in any customer list) shall be retained by or, as the case may be, transferred to the Agency. In addition, the Individual shall obtain any necessary consents for such processing under the 1998 Act. To ensure that the Agency's obligations under the 1998 Act are complied with, the Individual agrees to allow the Agency to approve and, if the Agency deems necessary, amend any such notice. 17.2.2 only process Data for and on behalf of the Agency for the purpose of performing its obligations under, and in accordance with, this agreement and only on written instructions from the Agency to ensure compliance with the 1998 Act. 17.3 The Individual agrees to provide the Agency with contact details of the Individual or at least one employee for the Agency to provide in relation to enquiries about the Individual and to display on the Agency's website. The Individual agrees to ensure that, for this purpose, any notices and/or consents required for the Agency to comply with the 1998 Act shall be provided to or acquired from such employees by the Individual on behalf of the Agency. 17.4 In this clause data controller, data processor, personal data and processing shall have the same meanings as set out in the 1998 Act, and process shall be construed accordingly. 17.5 You agree to indemnify us against any list damages costs and expenses including reasonable legal fee and costs incurred by Rutland Early Years Agency Ltd as a result of your breach of compliance of the data protection act. 18.1 This agreement is personal to the Individual, who may not, without the Agency’s prior written consent, assign, transfer, mortgage, charge, declare a trust of, sub-contract, delegate or deal in any other manner with this agreement or any of its rights and obligations under it (or any document referred to in it) or purport to do any of the same. 18.2 The Agency may, at any time, assign (absolutely or by way of security and in whole or in part), transfer, mortgage, charge or deal in any other manner with the benefit of any or all of any other party's obligations or any benefit arising under this agreement. 18.3 Each party to this agreement is acting on its own behalf and not for the benefit of another person. Nothing in this agreement is intended to, or shall be deemed to, establish any partnership or joint venture between any of the parties, nor constitute any party the agent of another party, nor authorise any party to make or enter into any commitments for or on behalf of any other party. Neither party shall be in breach of this agreement nor liable for delay in performing, or failure to perform, any of its obligations under this agreement if such delay or failure result from events, circumstances or causes beyond its reasonable control. In such circumstances the affected party shall be entitled to a reasonable extension of the time for performing such obligations. If the period of delay or non-performance continues for four weeks, the Agency may terminate this agreement by giving seven days written notice to the affected party. All amounts due under this agreement shall be paid in full without any deduction or withholding other than as required by law. Neither party shall be entitled to assert any credit, set-off or counterclaim against the other in order to justify withholding payment of any such amount in whole or in part. 23.1 If any court or competent authority finds that any provision of this agreement (or part of any provision) is invalid, unenforceable or illegal, that provision or part-provision shall, to the extent required, be deemed to be deleted, and the validity and enforceability of the other provisions of this agreement shall not be affected unless, in the reasonable opinion of the Agency, the purpose of this agreement is frustrated as a result. 23.2 If any invalid, unenforceable or illegal provision would be valid, enforceable and legal if some part of it were deleted, the provision shall apply with the minimum modification necessary in the reasonable opinion of the Agency to make it legal, valid and enforceable and, to the greatest extent possible, to give effect to the commercial intention of the parties. 23.3 The parties agree, in the circumstances referred to in clause 23.1 and if clause 23.2 does not apply, to attempt to substitute for any invalid or unenforceable provision a valid and enforceable provision which achieves, to the greatest extent possible, the same effect as would have been achieved by the invalid or unenforceable provision. The obligations of the parties under any invalid or unenforceable provision of this agreement shall be suspended while an attempt at such substitution is made. No failure or delay by a party to exercise any right or remedy provided under this agreement or by law shall constitute a waiver of that (or any other) right or remedy, nor shall it preclude or restrict the further exercise of that or any other right of remedy. No single or partial exercise of such right or remedy shall preclude or restrict the further exercise of that (or any other) right or remedy. This agreement may be executed in any number of counterparts, each of which, when executed and delivered, shall constitute an original of this agreement, but all the counterparts shall together constitute the same agreement. (iii) sent by pre-paid first class post or recorded delivery. 27.2.3 if sent by pre-paid first class post or recorded delivery, 9.00 am on the second Business Day after posting. 27.3 For the purposes of this clause, if deemed receipt is not within business hours (meaning 9.00 am to 5.00 pm Monday to Friday on a day that is not a public holiday in the place of receipt), the notice or other communication is deemed to have been received when business next starts in the place of receipt. 27.4 To prove delivery, it is sufficient to prove that if sent by pre-paid first class post, the envelope containing the notice or other communication was properly addressed and posted. 27.5 The provisions of this clause shall not apply to the service of any proceedings or other documents in any legal action. 27.6 A notice or other communication required to be given under, or in connection with, this agreement shall not be validly given if sent by e-mail. 28.1 If any dispute arises in connection with this agreement, the parties shall attempt to settle it by mediation in accordance with the CEDR Model Mediation Procedure. Unless otherwise agreed between the parties, the mediator shall be nominated by CEDR. To initiate the mediation, a party shall give notice in writing (ADR notice) to the other party to the dispute requesting a mediation. A copy of the request should be sent to CEDR. 28.2 The mediation shall start not later than 15 days after the date of the ADR notice. The commencement of a mediation shall not prevent the parties commencing or continuing court proceedings. 29.1 This agreement, and any dispute or claim arising out of or in connection with it or its subject matter or formation (including non-contractual disputes or claims), shall be governed by and construed in accordance with the law of England and Wales. 29.2 The parties irrevocably agree that the courts of England and Wales shall have exclusive jurisdiction to settle any dispute or claim that arises out of, or in connection with, this agreement or its subject matter or formation (including non-contractual disputes or claims). 31.1 Rutland Early Years Agency Ltd act as a support service and networking platform for parents/ childcare providers and local authorities. When you enter into a contract for supply of services and/or goods with a parent or childcare provider associated with our agency, the contract will be between the parent and the childcare provider. 31.2 We at Rutland Early Years Agency Ltd are not a party to the contractual relationship between the childcare provider and the parent (whether oral, written or other contract). It is up to you to ensure that you are satisfied of the suitability of any engagement to confirm the identity and status of those involved and to check any credentials, and we shall have no input of liability in that respect. 31.3 You acknowledge and agree that in making the site and any adverts or profiles placed by you available via the site, we are not acting as an agent of any visitors to our website or as an agent of any parent and/or childcare providers. 31.4 We do not assume any responsibility for services provided by or between parents and childcare providers or any other third party suppliers or any statements made by them and we make no representations or warranties whether express or implied about the suitability or quality of any services or goods, which appear on our site/social media pages/e-mail or orally, or any statements made about them (including but not limited to any profiles or any parent reviews of childcare providers). 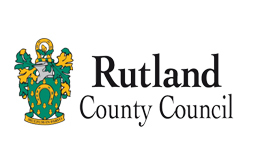 In addition we take no steps to identify of any parent or childcare provider not registered directly with Rutland Early Years Agency Ltd, any statement made about them or any relevant qualifications or experience. 31.5 We do not endorse any comments opinion or reviews made by anyone on our website or social media sites and we do not review their accuracy or content but we reserve the right to remove any comments opinions or reviews or other materials from our sites which we believe do not comply our company values. b) Where you are a childcare provider you acknowledge that we do not guarantee any requirement or engagement of you by a parent and you must satisfy yourself of the suitability of any engagement and any arrangements between you. 31.7 We may also provide links on our site to the websites of other companies, whether affiliated with us or not. We cannot give any undertaking that products or services you purchase from third party sellers through our site, or from companies to whose website we have provided a link on our site, will be of satisfactory quality, and any such warranties are disclaimed by us absolutely. This disclaimer does not affect your statutory rights against the third-party seller. 31.1 Access to our site is permitted on a temporary basis and we reserve the right to withdraw or amend the service we provide on our site without notice (see below). We will not be liable if for any reason our site is unavailable at any time or for any period. 31.2 From time to time, we may restrict access to some parts of our site, or our entire site, to users who have registered with us. 33.1 Commentary and other materials posted on our site are for guidance purposes only. We therefore disclaim all liability and responsibility arising from any reliance placed on such materials by any visitor to our site, or by anyone who may be informed of any of its contents. You must make all appropriate investigations before entering into an engagement with a Parent or Childcare Provider. 33.2 We aim to update our site regularly, and may change the content at any time. If the need arises, we may suspend access to our site, or close it indefinitely. Any of the material on our site may be out of date at any given time, and we are under no obligation to verify or update such material. 33.3 Any information is provided for your personal use and it must not be used for any further commercial purpose, such as the resale or further distribution to a wider audience. 34.2 This does not affect our liability for death or personal injury arising from our negligence, nor our liability for fraudulent misrepresentation or misrepresentation as to a fundamental matter, nor any other liability which cannot be excluded or limited under applicable law. 34.3 Subject to clauses 34.1, 34.2 and 34.4, the Company’s aggregate liability in respect of claims based on events arising out of or in connection with the Services, these Conditions or any collateral contract, whether in contract or tort (including negligence) or otherwise, shall in no circumstances exceed the total charges paid by you for Membership Fees in the calendar year in which the claim arises. 34.4 We will not be liable for any loss or damage caused by a distributed denial-of-service attack, viruses or other technologically harmful material that may infect your computer equipment, computer programs, data or other proprietary material due to your use of our site or to your downloading of any material posted on it, or on any website linked to it. 35.1 Whenever you make use of a feature that allows you to upload material to our site, or to make contact with other users of our site, you must comply with the acceptable use policy set out in clauses 10 to 12 inclusive. You warrant that any such contributions (Contributions) do comply with that policy, and you indemnify us for any breach of that warranty. 35.2 Any material you upload to our site will be considered non-proprietary and we have the right to use, copy, distribute and disclose to third parties any such material in accordance with these Conditions. We also have the right to disclose your identity to any third party who is claiming that any material posted or uploaded by you to our site constitutes a violation of their intellectual property or other rights. 35.3 We will not be responsible, or liable to any third party, for the content or accuracy of any materials posted by you or any other user of our site. 35.4 Contributions must be accurate (where they state facts), be genuinely held (where they state opinions) and comply with applicable law in the UK and in any country from which they are posted. 35.6 We have the right to remove any material or posting you make on our site if, in our opinion, such material does not comply set out in clause 35 to 37 inclusive or as we believe in our sole discretion is prudent or necessary to minimise or eliminate our potential liability. 35.7 You shall be responsible for the accuracy and completeness of your Contributions and for ensuring that that they are current and up to date. 35.8 We have no obligation to you, and undertake no responsibility, to review your Contributions (including user-generated content) to determine whether they may result in any liability to any third party. 35.9 You shall indemnify us against all damages, losses and expenses arising as a result of any action or claim that any material posted, or linked to, our site by you constitutes a breach of our acceptable use policy set out in all clauses. 37.1 We may from time to time provide interactive services on our site, including, without limitation, chat rooms and bulletin boards (Interactive Services). Where we do provide any Interactive Service, we will provide clear information to you about the kind of service offered, if it is moderated and what form of moderation is used (including whether it is human or technical). 37.2 We will do our best to assess any possible risks for users (and in particular, for children) from third parties when they use any Interactive Service provided on our site, and we will decide in each case whether it is appropriate to use moderation of the relevant service (including what kind of moderation to use) in the light of those risks. However, we are under no obligation to oversee, monitor or moderate any Interactive Service we provide on our site, and we expressly exclude our liability for any loss or damage arising from the use of any Interactive Service by a user in contravention of our content standards, whether the service is moderated or not. Applicable laws require that some of the information or communications we send to you should be in writing. When using our site/services, you accept that communication with us will be mainly electronic. We will contact you by e-mail or provide you with information by posting notices on our website. For contractual purposes, you agree to this electronic means of communication and you acknowledge that all contracts, notices, information and other communications that we provide to you electronically comply with any legal requirement that such communications be in writing. This condition does not affect your statutory rights. All notices given by you to us must be given to International New Media Limited at our registered office address of 61A South Street, Oakham, Rutland LE15 6BG. We may give notice to you at either the e-mail or postal address you provide to us when you join or place an order, or in any of the ways specified in clause 38 above. Notice will be deemed received and properly served immediately when posted on our website, 24 hours after an e-mail is sent, or three days after the date of posting of any letter. In proving the service of any notice, it will be sufficient to prove, in the case of a letter, that such letter was properly addressed, stamped and placed in the post and, in the case of an e-mail, that such e-mail was sent to the specified e-mail address of the addressee. 39.1 These Conditions are binding on you and us and on our respective successors and assignees. 39.2 You may not transfer, assign, charge or otherwise dispose of any of your rights or obligations arising under these Conditions without our prior written consent. 39.3 We may transfer, assign, charge, sub-contract or otherwise dispose of any of our rights or obligations arising under these Conditions at any time. 40.1 We have the right to revise and amend these Conditions from time to time to reflect changes in market conditions affecting our business, changes in technology, changes in payment methods, changes in relevant laws and regulatory requirements and changes in our system's capabilities. 42.2 You will be subject to the latest Conditions in force at the time that you become registered/ a member/or in receipt of our services of our services or which are in force at the time you login to our website or when your registration/membership/ of our services is automatically renewed, unless any change to these Conditions is required to be made by law or governmental authority. 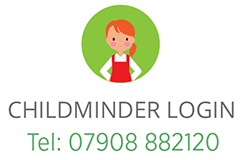 This agreement has been entered on the date of purchase of service/support/product, and *where applicable runs in conjunction with the REYAL childminder contract (*applicable in all cases of an individual registering with Rutland Early Years Agency Limited as a childminder).